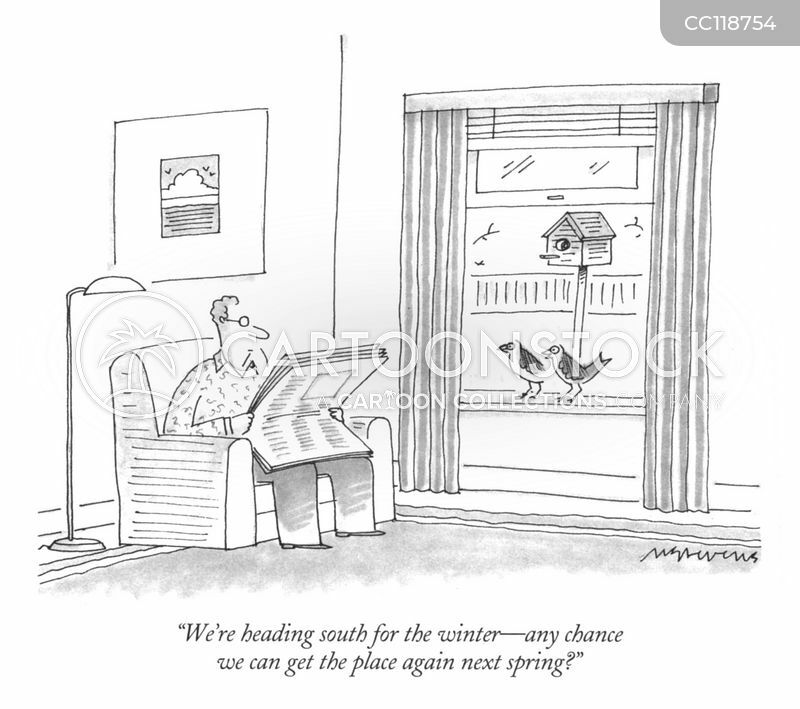 "We're heading south for the winter—any chance we can get the place again next spring?" 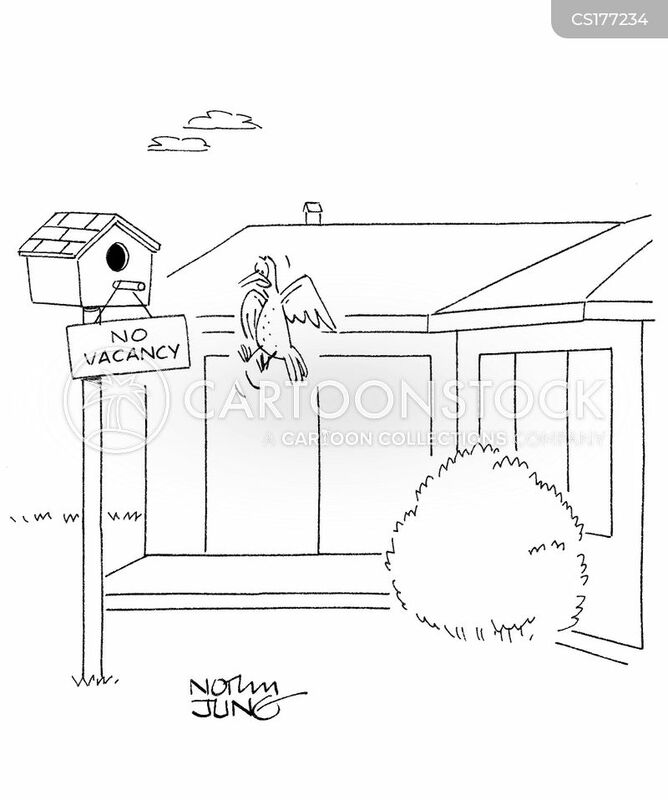 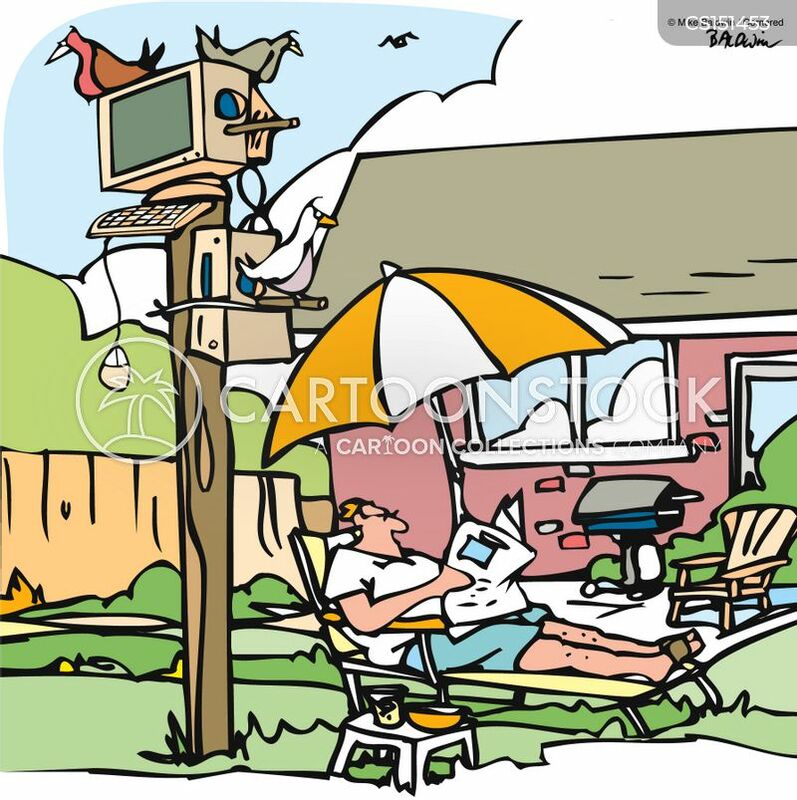 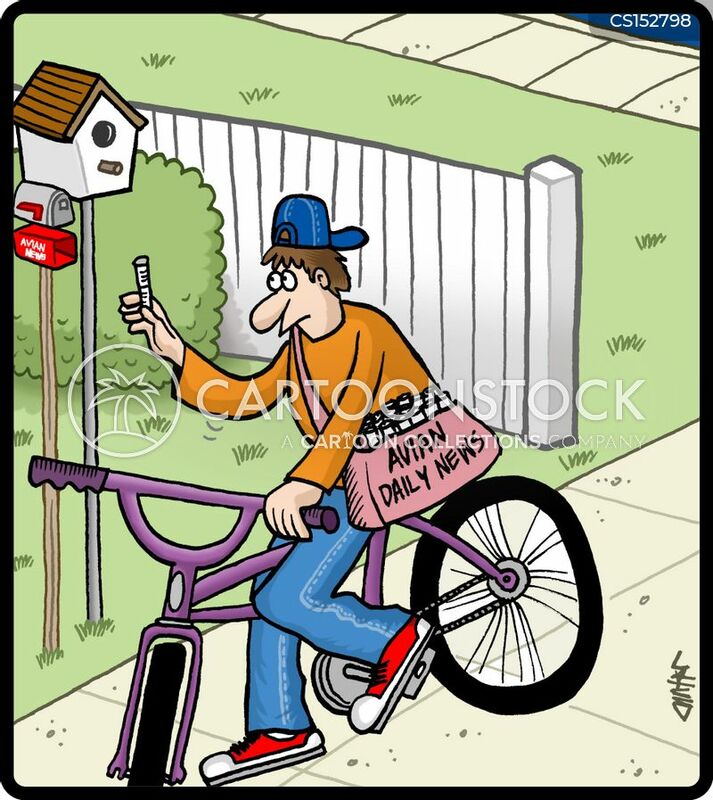 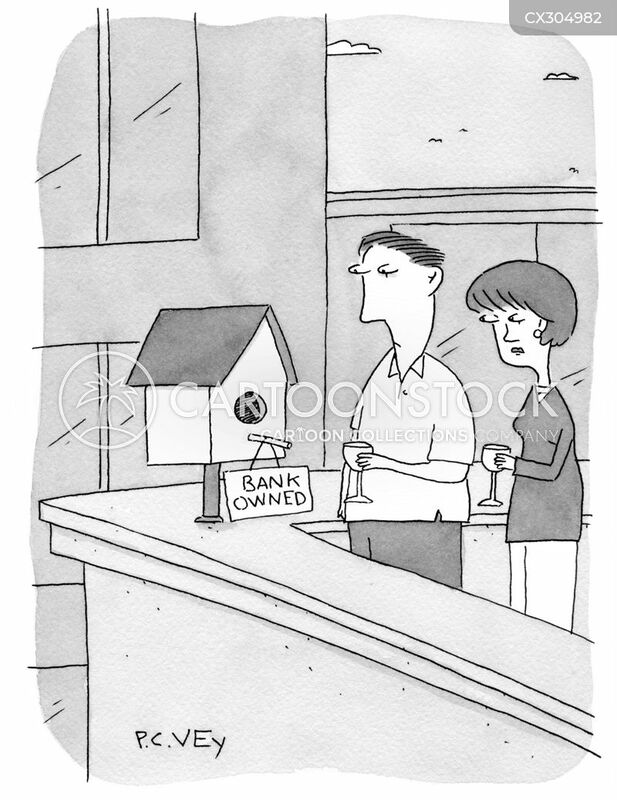 Paperboy delivers the Avian news to his bird customers. 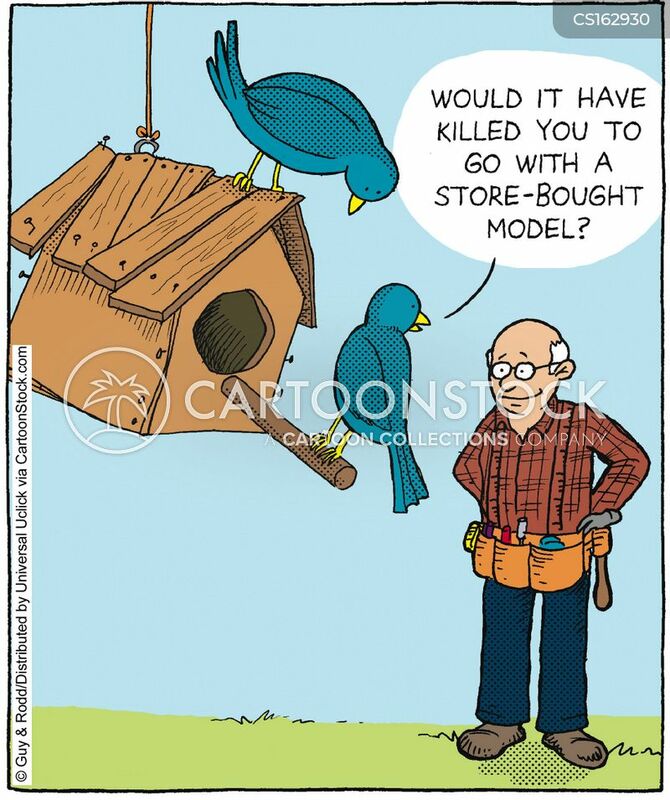 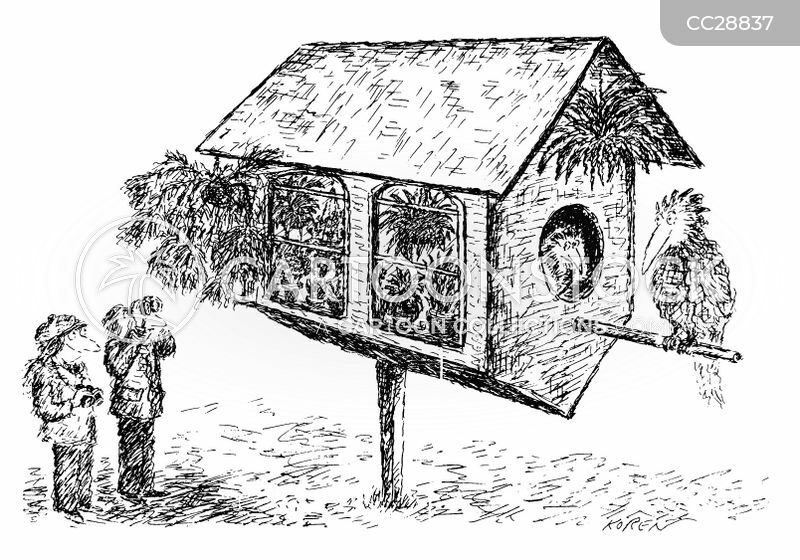 Birdwatchers looking at a birdhouse filled with houseplants. 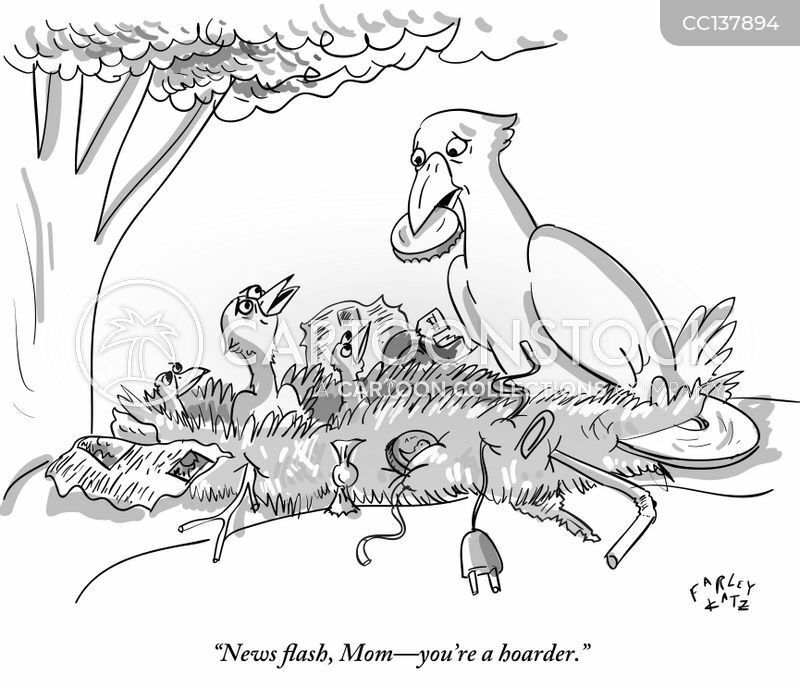 "News flash, Mom-you're a hoarder." 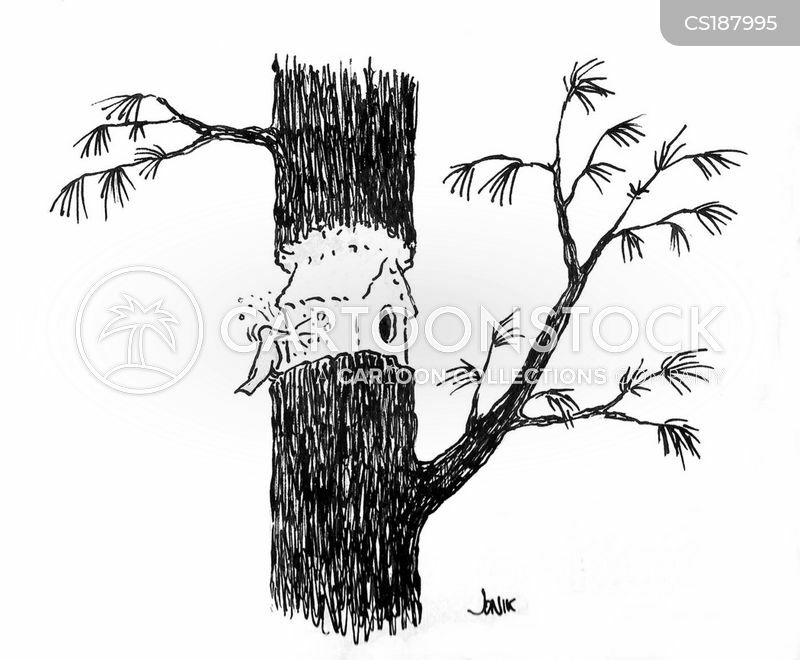 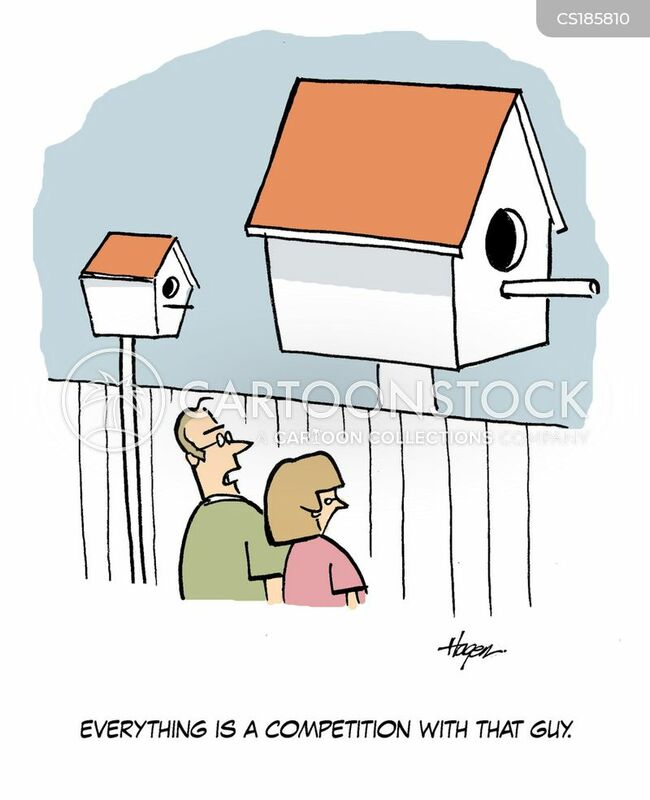 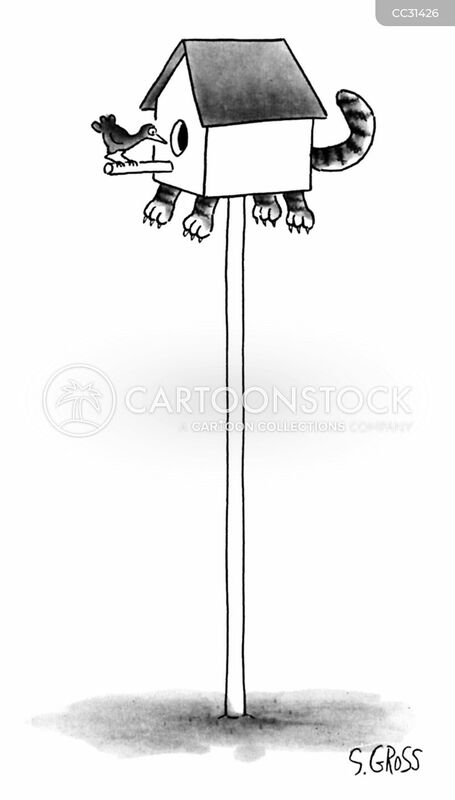 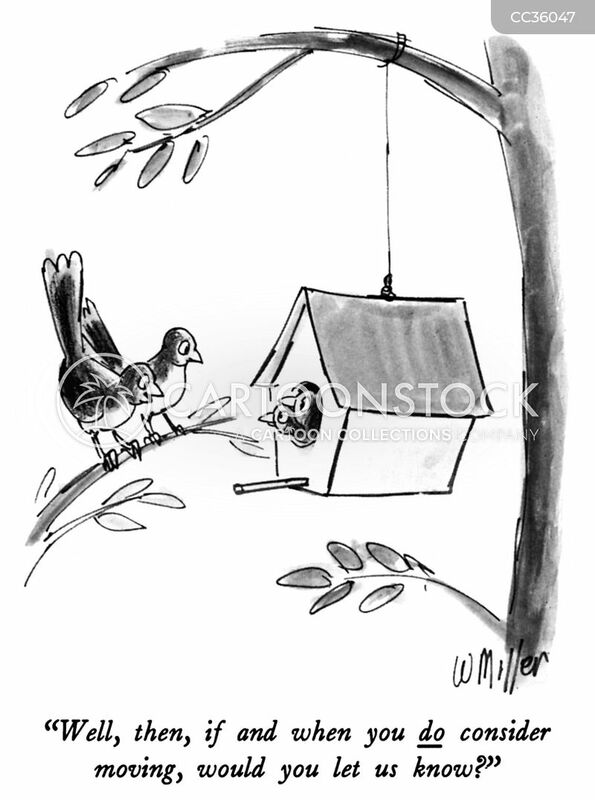 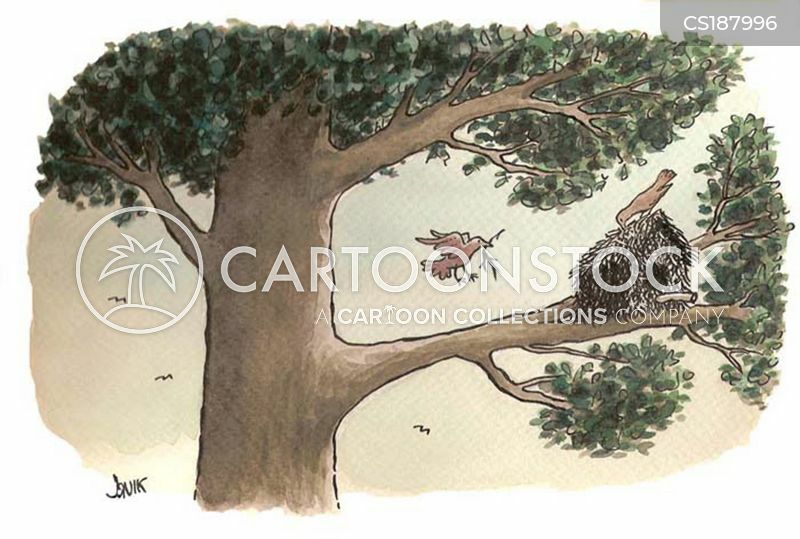 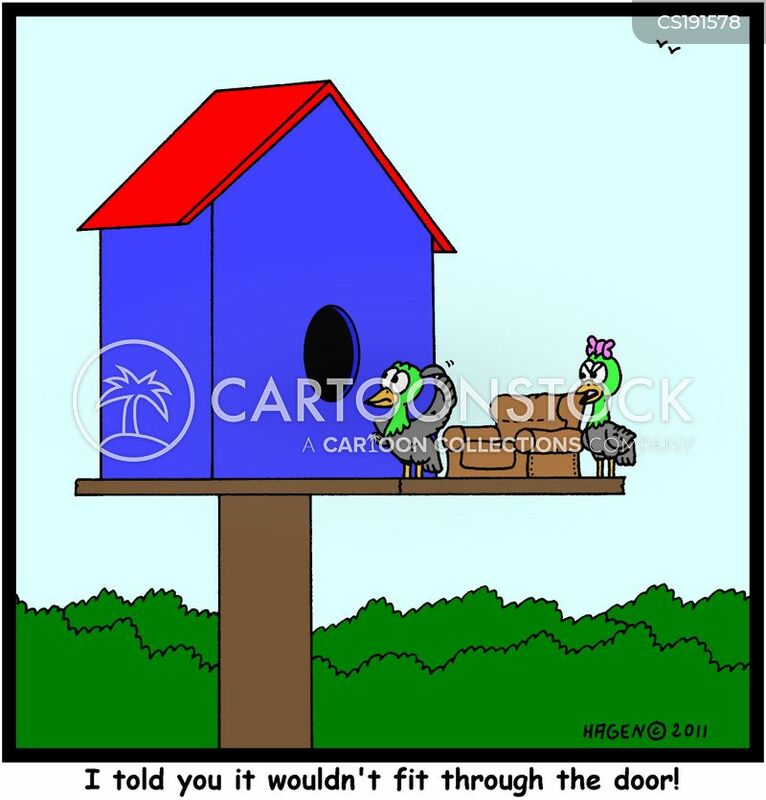 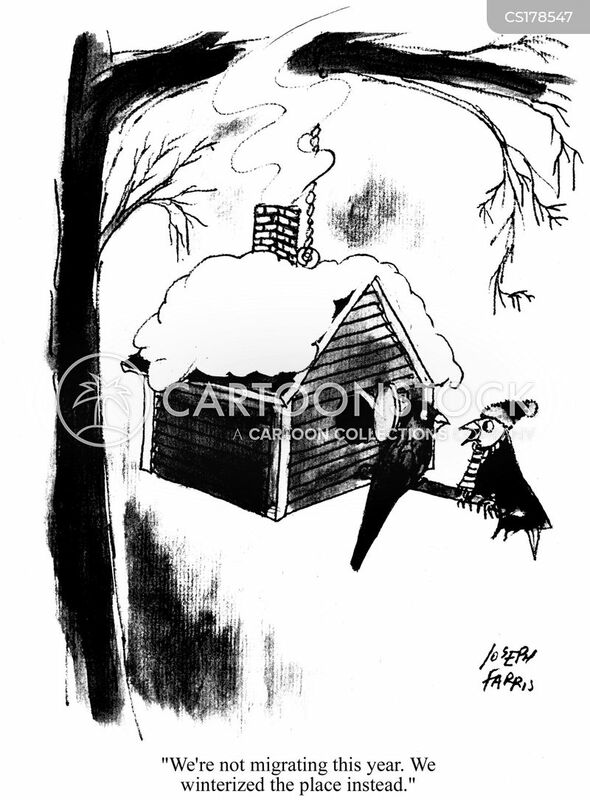 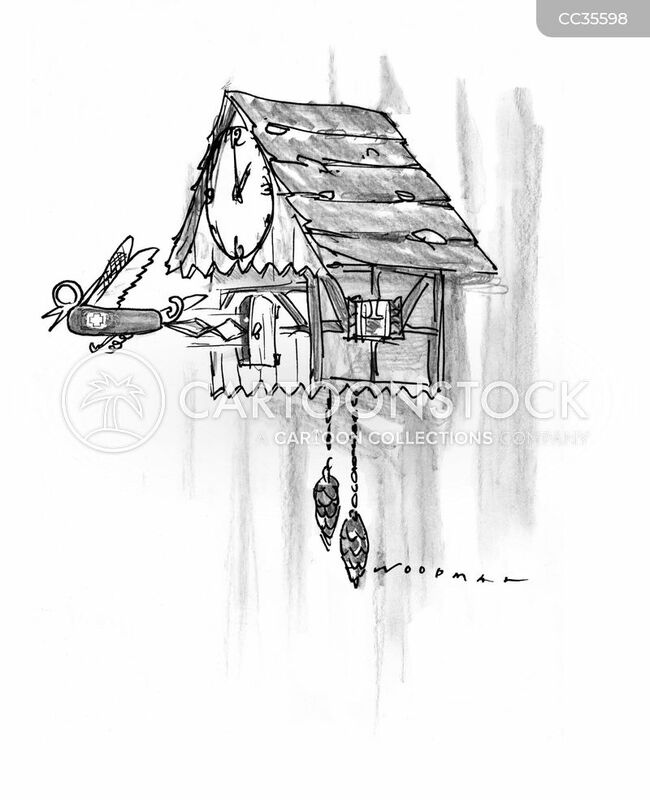 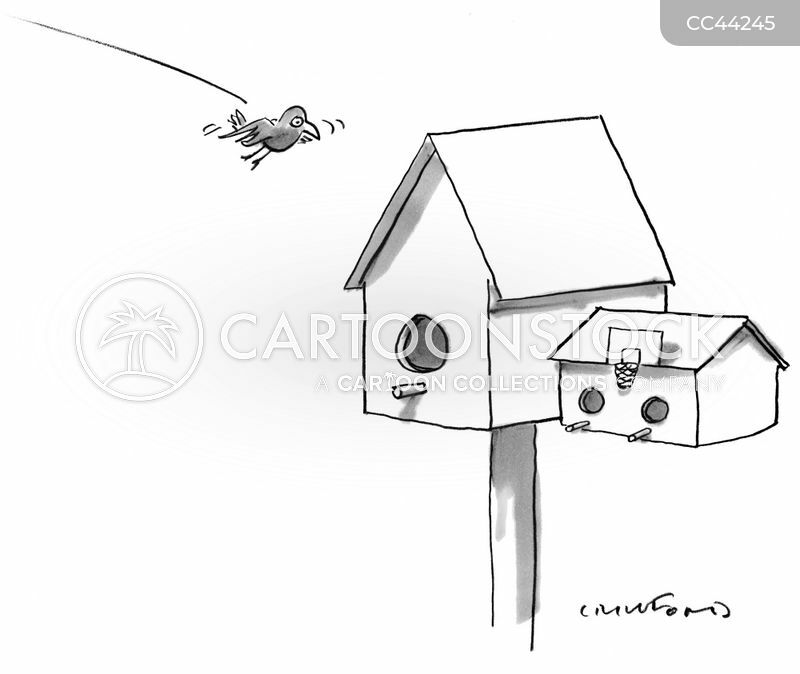 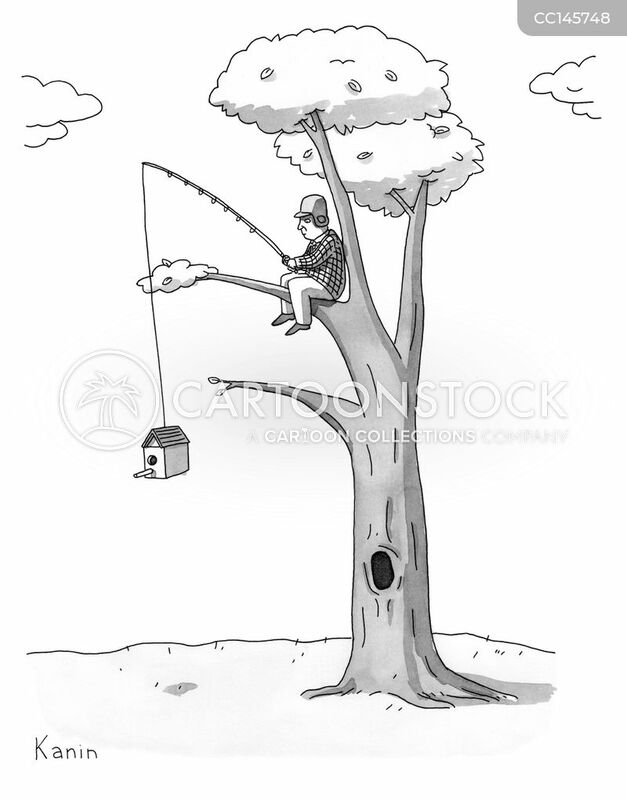 A bird looks into a birdhouse from which the legs and tail of a cat are dangling. 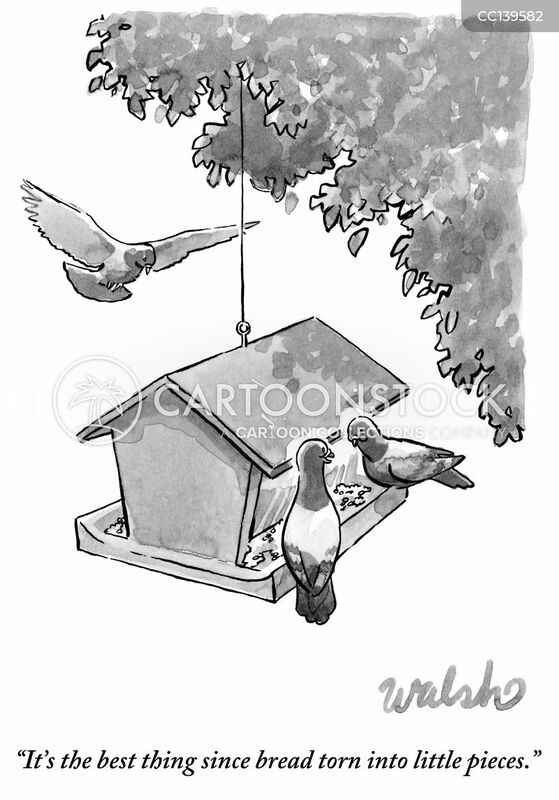 "It's the best thing since bread torn into little pieces." 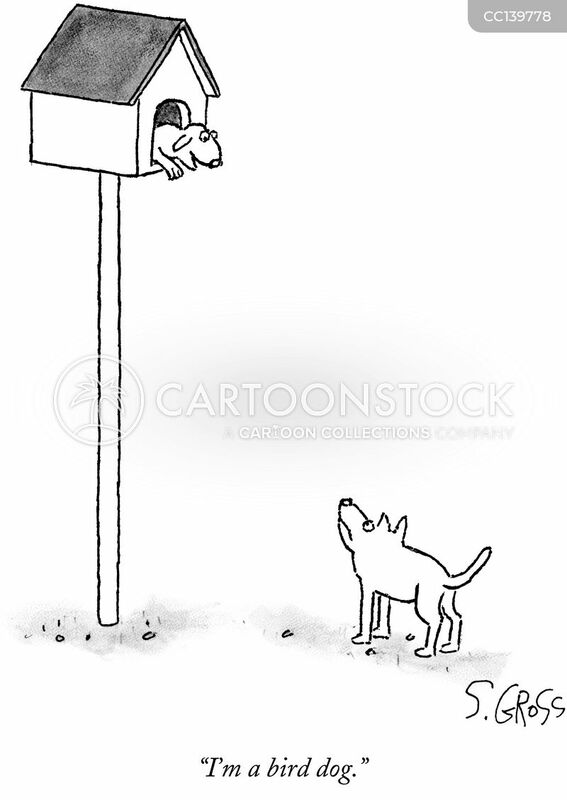 "Well, then, if and when you do consider moving, would you let us know?" 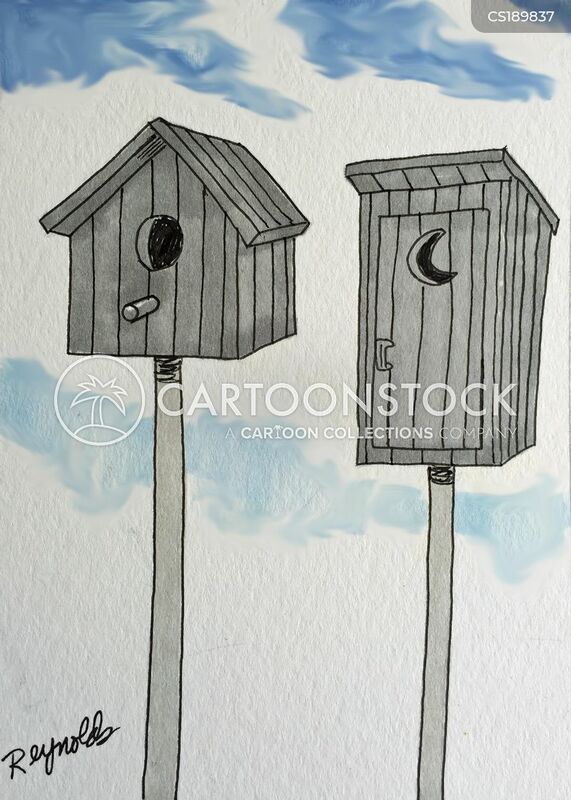 A birdhouse sits next to an outhouse. 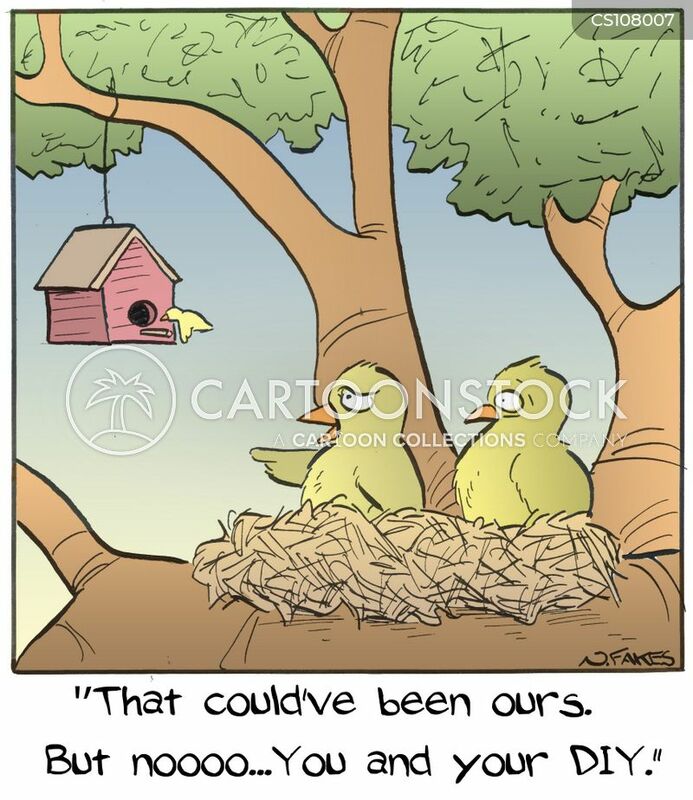 "That could've been ours. 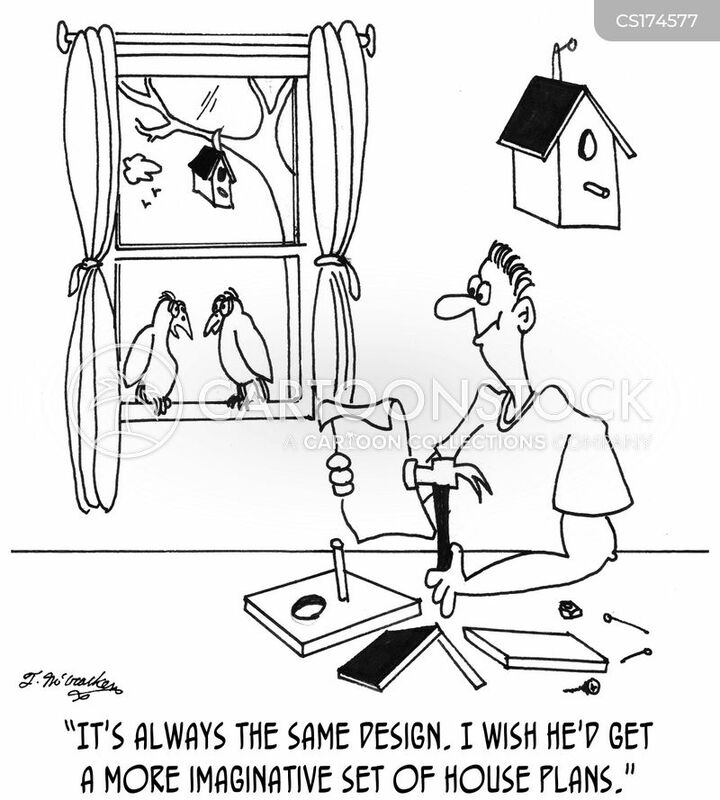 But noooo...You and your DIY." 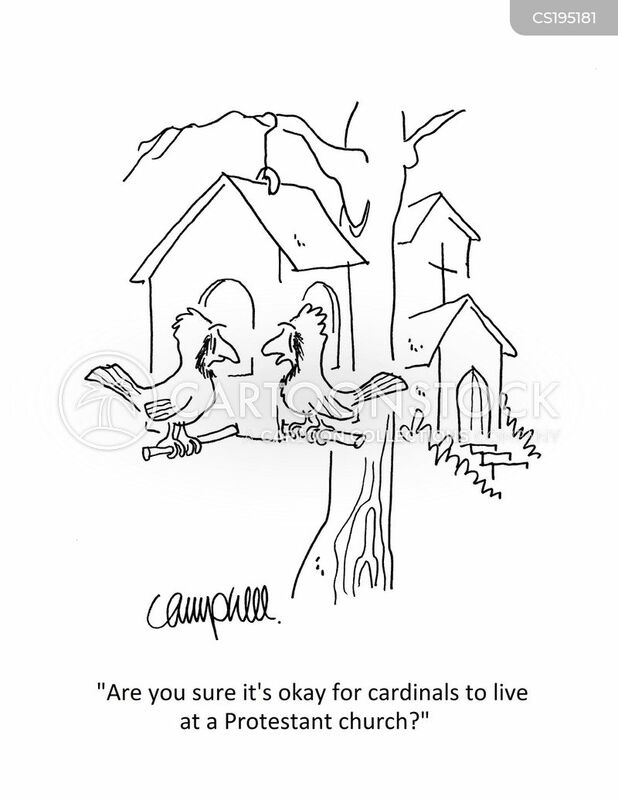 "Are you sure it's okay for cardinals to live at a Protestant church?"